Gerardduenas updated the task description for T152965: Deploy cawiki edit types campaign. Gerardduenas closed T152965: Deploy cawiki edit types campaign as Resolved. Announced on cawiki. We'll see how it goes. Thanks for everything. Gerardduenas created M135: VisualEditor anon welcome popup . Gerardduenas added a comment to T107658: Wikitext doesn't get parsed in a single page. Gerardduenas created T107658: Wikitext doesn't get parsed in a single page. Gerardduenas awarded T96710: Per-wiki customizable drop down menu for templates a Like token. Gerardduenas created T105132: <gallery> captions cannot be edited with content translation. Restricted Application updated subscribers of T90138: Enable Flow in new Discussion pages created at mediawiki.org. Gerardduenas awarded T8129: Allow suppressing page title output a Like token. Gerardduenas raised the priority of T8129: Allow suppressing page title output from Low to Normal. Gerardduenas closed T88246: UI buttons not working in cawikibooks. as Resolved. Gerardduenas added a comment to T102107: Enable Content Translation in Catalan Wikipedia for all logged-in users. I think we should fix this bugs that make wikitext dirty before users that won't revise the resulting code use this functionality. Gerardduenas added a subtask for T102107: Enable Content Translation in Catalan Wikipedia for all logged-in users: T100847: ContentTranslation publishes pages with empty <ref /> tags. Gerardduenas added a parent task for T100847: ContentTranslation publishes pages with empty <ref /> tags: T102107: Enable Content Translation in Catalan Wikipedia for all logged-in users. Gerardduenas awarded T102107: Enable Content Translation in Catalan Wikipedia for all logged-in users a Like token. Gerardduenas created T101827: Extension:SyntaxHighlight_GeSHi does not work in Flow. Gerardduenas awarded T21412: #time parser function can't read local language month names a Like token. Gerardduenas awarded T101081: Algorithm to detect when the content above the first section needs to be archived and/or converted into Flow header a Like token. Gerardduenas closed T73893: Unable to convert ABC file to LilyPond format: IndexError: list index out of range as Invalid. Gerardduenas merged task T100208: Copying references with name returns error into T100209: Copied reference is malformed - page cannot be saved or switched to source editing. Gerardduenas merged T100208: Copying references with name returns error into T100209: Copied reference is malformed - page cannot be saved or switched to source editing. Gerardduenas updated the task description for T100208: Copying references with name returns error. Gerardduenas created T100208: Copying references with name returns error. Gerardduenas updated subscribers of T99489: Possibility to make API calls from Lua scripts. Gerardduenas updated the task description for T99489: Possibility to make API calls from Lua scripts. Gerardduenas set Security to default on T99489: Possibility to make API calls from Lua scripts. Gerardduenas created T99489: Possibility to make API calls from Lua scripts. Gerardduenas added a comment to T98929: C1. "Mark as resolved" for Flow topics. Gerardduenas awarded T98929: C1. "Mark as resolved" for Flow topics a Like token. Gerardduenas added a comment to T98606: Possibility to hide locked topics in Flow's table of contents (CA). Gerardduenas added a subtask for T98606: Possibility to hide locked topics in Flow's table of contents (CA): T98929: C1. "Mark as resolved" for Flow topics. Gerardduenas added a parent task for T98929: C1. "Mark as resolved" for Flow topics: T98606: Possibility to hide locked topics in Flow's table of contents (CA). I was referring to the lock feature. In cawiki we are using it for resolved issues, to keep them for reference, so that no one makes edits. I was asking to hide this closed topics. Gerardduenas awarded T98606: Possibility to hide locked topics in Flow's table of contents (CA) a Like token. Gerardduenas created T98606: Possibility to hide locked topics in Flow's table of contents (CA). Gerardduenas removed a watcher for Wikimedia-Site-requests: Gerardduenas. Gerardduenas added a watcher for Wikimedia-Site-requests: Gerardduenas. Gerardduenas moved T89346: Add autopatrolled flag right on mai.wikipedia from Backlog to Done on the Wikimedia-Site-requests board. Gerardduenas moved T85713: Enable 'interface-editor' user group on cawikibooks from Backlog to Done on the Wikimedia-Site-requests board. Gerardduenas moved T89484: Allow Babel extension to work on outreach.wm (set $wgBabelCategoryNames) from Backlog to Done on the Wikimedia-Site-requests board. Gerardduenas moved T89655: Allow Microdata Attributes in Hebrew Wikisource from Backlog to Done on the Wikimedia-Site-requests board. Gerardduenas moved T91341: Enable Extension:Gather (article lists) on English Wikipedia Mobile Beta from Backlog to Done on the Wikimedia-Extension-setup board. Gerardduenas moved T87770: Enable Extension:Graph on cawiki from Backlog to Done on the Wikimedia-Extension-setup board. Gerardduenas added a comment to T68307: D2. Flow: subst'd templates aren't subst'd (CA). Gerardduenas awarded T68307: D2. Flow: subst'd templates aren't subst'd (CA) a Like token. Gerardduenas awarded T97660: Links in preview don't link correctly (Flow boards on subpage) a Like token. Gerardduenas created T97660: Links in preview don't link correctly (Flow boards on subpage). Gerardduenas awarded T93637: Enable GeoData in cawikibooks a Like token. 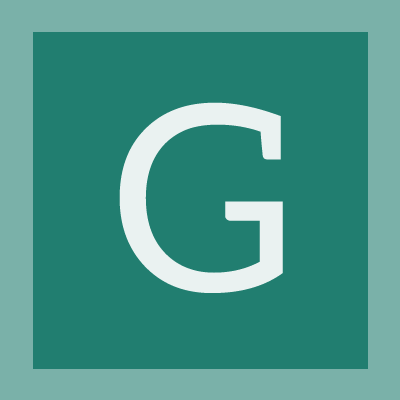 Gerardduenas awarded T55590: VisualEditor: Provide some kind of template suggestion in the transclusion editor a Like token. Gerardduenas added a comment to T55590: VisualEditor: Provide some kind of template suggestion in the transclusion editor. It would really be appreciated in wikipedia's sister projects to have a costumizable common templates dropdown as there is with the citation tool. Gerardduenas awarded T96547: make it easy to prevent unwanted languages from appearing in the gray interlanguage links added by ContentTranslation a Like token. Gerardduenas added a comment to T93637: Enable GeoData in cawikibooks. Gerardduenas created T96076: Patrolled Flow edits. Gerardduenas committed rOMWC7449160d2c9d: Add import sources for cawikibooks (authored by Gerardduenas). Gerardduenas committed rOMWC1e632d2184b0: Create 'Portal' and 'Portal_Discussió' namespaces at cawikibooks (authored by Gerardduenas). Gerardduenas removed a project from T93203: Add import sources for cawikinews: Patch-For-Review. Gerardduenas updated the task description for T93750: Add import sources for cawikibooks. Gerardduenas updated subscribers of T93750: Add import sources for cawikibooks. Gerardduenas updated subscribers of T93811: Create 'Portal' namespace in cawikibooks. Gerardduenas created T93811: Create 'Portal' namespace in cawikibooks. Gerardduenas added a project to T93750: Add import sources for cawikibooks: Wikimedia-Site-requests. Gerardduenas created T93750: Add import sources for cawikibooks. Gerardduenas added a comment to T93486: There should be wikibooks, wikiquote and wikivoyage community projects. I could help maintaining those projects. I have no experience in wikivoyage but I think I could manage to help. Gerardduenas awarded T93486: There should be wikibooks, wikiquote and wikivoyage community projects a Like token. If there aren't any problems I'll submit the patch tomorrow. The community is aware that the Extension is in experimental phase. Gerardduenas created T93637: Enable GeoData in cawikibooks. Gerardduenas claimed T93203: Add import sources for cawikinews. Gerardduenas claimed T93371: Create new user groups on es.wikibooks. Gerardduenas added a project to T93525: Add the visual editor to Wikisource: Community-consensus-needed. Gerardduenas lowered the priority of T88918: Enable Extension:UploadWizard on id.wikipedia from Normal to Low. Gerardduenas placed T88918: Enable Extension:UploadWizard on id.wikipedia up for grabs. Gerardduenas changed the status of T88918: Enable Extension:UploadWizard on id.wikipedia from Open to Stalled. Gerardduenas awarded T91286: Consider creating Phabricator projects for Wikimedia sites in specific languages a Like token. Gerardduenas committed rOMWCbab85c30f61f: Set $wgAllowMicrodataAttributes to true at hewikisource (authored by Gerardduenas). Gerardduenas placed T89332: Rename Wikiquote namespace at tewikiquote up for grabs. Sorry I'm having problems with unicode and I can't take this job until I solve them. Gerardduenas claimed T89332: Rename Wikiquote namespace at tewikiquote. I'll submit the patch later on today if there aren't any objections. Gerardduenas removed a project from T89332: Rename Wikiquote namespace at tewikiquote: Community-consensus-needed. Gerardduenas added a project to T89332: Rename Wikiquote namespace at tewikiquote: Community-consensus-needed. Gerardduenas removed a project from T89655: Allow Microdata Attributes in Hebrew Wikisource: Community-consensus-needed. Gerardduenas closed T85713: Enable 'interface-editor' user group on cawikibooks as Declined. Ok thanks for your advice. We will follow it. @Glaisher you can abandon the patch, thanks for your help anyway. Gerardduenas claimed T89655: Allow Microdata Attributes in Hebrew Wikisource. I'll submit the patch as soon as I can. Thanks for providing a more clear consensus. Gerardduenas added a project to T89655: Allow Microdata Attributes in Hebrew Wikisource: Community-consensus-needed. It's not very clear that the link provided is a consensus. I understand that not many people see clear the activation. Gerardduenas added a comment to T88918: Enable Extension:UploadWizard on id.wikipedia. MarkTraceur awarded T88918: Enable Extension:UploadWizard on id.wikipedia a The World Burns token. Gerardduenas claimed T88918: Enable Extension:UploadWizard on id.wikipedia. I'm taking it. It would be great if you found more consensus. Gerardduenas claimed T89346: Add autopatrolled flag right on mai.wikipedia. Gerardduenas claimed T89484: Allow Babel extension to work on outreach.wm (set $wgBabelCategoryNames). Gerardduenas added a comment to T85713: Enable 'interface-editor' user group on cawikibooks. @Snowolf,@Billinghurst: Summarising and translating what has been said in the Village Pump and on IRC: The community strongly feels that no more admins are needed and that there is no need in giving unnecessary buttons to users who won't use them because this users only want to help in the tech side, not with all the sysops jobs. Added to all this, the community feels aggravated because they see that their consensus has no decision power at all because it gets blocked whenever it gets out of the wiki by rules they don't see written anywhere. Gerardduenas closed T85730: Echo not notifying users in ns103 in cawiki as Resolved. @Billinghurst I was asking just in case. We don't want to happen this again. I'll transfer this to the community's village pump. @Snowolf from your point of view as a steward would you grant an admin flag to a user in a wiki that there is already an admin and there are only three active users? I think it's not necessary. Gerardduenas renamed T88896: Enable VisualEditor in Project namespace (ns 4) at cawiki from Enable VisualEditor in namespaces 4 (Project) and 12 (Help) to Enable VisualEditor in namespaces 4 (Project). Gerardduenas added a comment to T88896: Enable VisualEditor in Project namespace (ns 4) at cawiki. Gerardduenas renamed T88896: Enable VisualEditor in Project namespace (ns 4) at cawiki from Enable VisualEditor in namespaces 4 (Viquipèdia) and 102 (Viquiprojecte) of cawiki to Enable VisualEditor in namespaces 4 (Project) and 12 (Help). Gerardduenas created T88896: Enable VisualEditor in Project namespace (ns 4) at cawiki. Gerardduenas renamed T88246: UI buttons not working in cawikibooks. from UI buttons not working in cawiki nor cawikibooks. to UI buttons not working in cawikibooks..
Gerardduenas added a comment to T85730: Echo not notifying users in ns103 in cawiki.